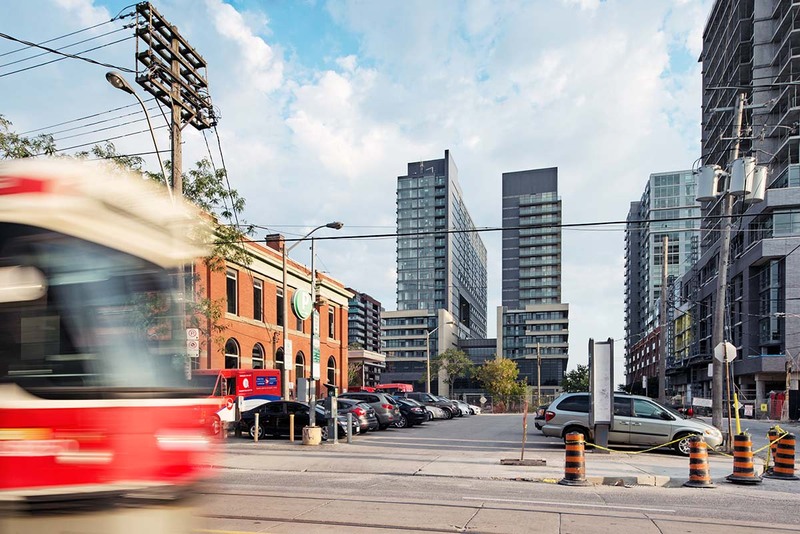 TACT’s new Edge Condominiums nears completion in what Vogue Magazine and The New York Times are calling among the “Coolest Neighbourhoods in the World”. Two sleek towers of 22 storeys and 665 residential units, sit at centre stage of this neighbourhood of “newfound prominence and desirability”. The buildings comprise predominantly of wide/shallow 2 bedroom suites sitting above a 30,000sf podium reserved for local cultural entities.